ANSONIA — Young students with emotional disabilities at Mead Elementary School will no longer have to take a 17-mile bus to North Haven to receive special education services. Beginning in January, the program they attend through Area Cooperative Educational Services will have a satellite campus embedded at Mead School. The partnership won’t initially cut down on special education costs for the district, but it is expected to trim transportation expenses and allow students in the program to remain closer to their home school community. She said the arrangement came about after she approached ACES Executive Director Thomas Danehy last year. The district recently had a special education audit that recommended more students be served in district. 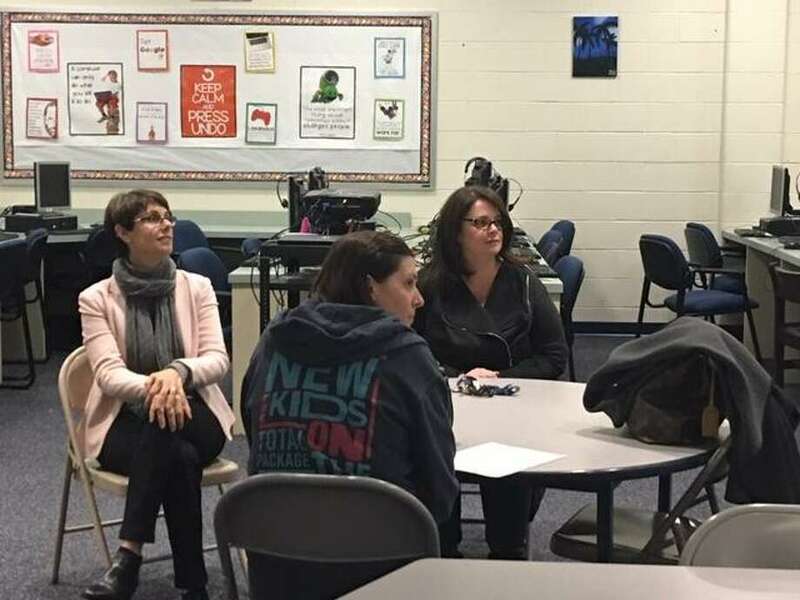 An information session on the program was held this week at Mead, so parents could tour the wing of the school that will house the program. Merlone said at least two students have been assigned to what will be called ACES at Mead, and three others are in the process. Eventually, the program could grow to accommodate up to 40 students from across the district as well as surrounding towns. In the 2017-18 school year, out of 511 Ansonia students with identified disabilities, 37 had emotional disabilities, according to state figures. About a dozen in grades K-12 attend ACES’ Mill Road School in North Haven. The program at Mead School will start for grades K-3. In addition to specialized instruction, participants will attend gym, art, lunch and special programs with other students at Mead School. The cost will remain the same to Ansonia, at $59,000 for each student. The program will start with an administrator, teacher, teacher’s aide and physical therapist. Plans call for the staff to grow as the student population does. “When we break even (we) will share revenue with Ansonia,” said Danehy. ACES works with 25 school districts in south central Connecticut, providing special education, preschool and other programming. It is no stranger to making its program portable. At West Haven High, ACES has run a program for students with a variety of special needs for nearly two decades. There are also collaborations with the Amity Region 5 school district. ACES officials say they provide services to 602 student with special needs. Of those, about 250 have emotional disabilities. Daheny said the number is growing. Ansonia is planning a second information session once the program opens next month. To learn more, contact Ansonia Public Schools or ACES at tdanehy@aces.org.